I don't know about you, but I am ready for fall! The weather here is alternating between warm and cool, and I just can't wait to break out the fall boots and sweaters. 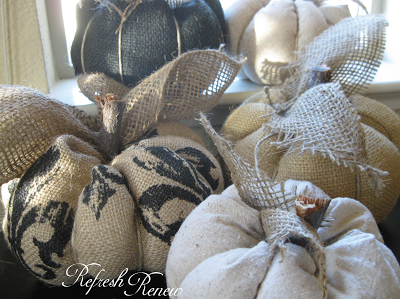 And since I'm in the mood for fall, I loved this tutorial shared by Refresh Renew for cute burlap pumpkins! While we're on the subject of pumpkins, A Stylish Interior shared a tutorial for creating these faux mercury glass beauties! 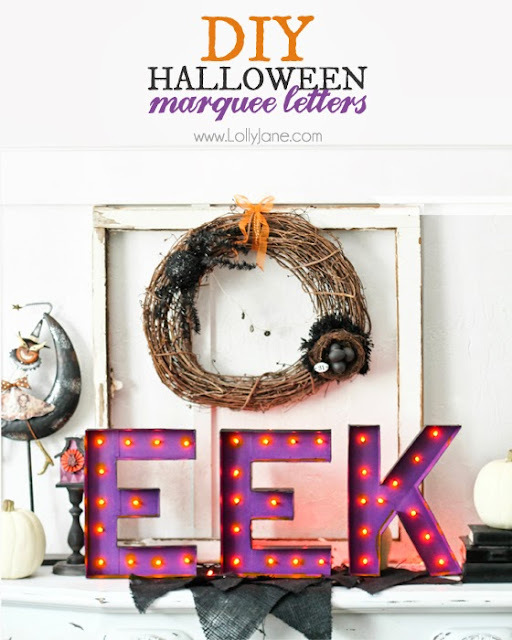 And finally, I love these Halloween marquee letters shared by Lolly Jane! So fun! Thanks so much for hosting! Now that it is feeling a bit more like fall here, it helps me get ready for the season. Yay! Enjoy your weekend. Thanks so much for hosting! I hope you have a great weekend! Thanks so much for hosting - great features!!! Thanks so much for hosting, Wendy! Hope you're enjoying our beautiful fall weather. Have a wonderful weekend! I'm ready for fall, too, Wendy! Thx for the party. Great features Wendy! Thanks so much for hosting. Have a great weekend. Thanks for another great party, Wendy! Have a fabulous weekend! Thanks for hosting! Happy Autumn day everyone! I love those burlap pumpkins! They are awesome! By the way, I am hosting a great giveaway on my blog this week for Jan Shower's new interior design book, Glamorous Retreats. I would love it if you stopped by and entered!